How Do You Determine the Best Stair Lift for Your Home? When you’re ready to purchase a residential stair lift, how do you determine what models would be best for your home? While there are many models to choose from, there are some easy ways to determine which ones are best for you, your home, and your family. 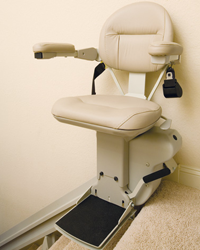 Check out these easy tips and find yourself even closer to finding the perfect stair lift. How Much Room do You Have? – First things first, you need to determine how much space you have in your home, or in the room you’re planning to install your stair lift in. The reason you need to evaluate the amount of space you have is some stair lifts are significantly larger than others. Not only do you need to evaluate the amount of space you have in your home, but you also need to evaluate the amount of space you have in your stairways. Depending on space and personal preference, you could install either a vertical stair lift or an inclined stair lift. This is why it is so important to know how much extra space you have in both your stairways, as well as in each room. Who Lives with You? Not only do you have to evaluate available space but you also need to consider those who live with you. While you might want the biggest, most robust stair lift you can find, you have to remember that you need to share said space with other family members. While you would love to have a large, comfortable chair that does not fold up and out of the way, other family members might find it difficult to use the stairs once such a large stair lift is attached. If you have small children or pets, it is best to find a stair lift that isn’t going to block the stairs. The last thing you want is someone getting hurt because your stairs are blocked by a stair lift. 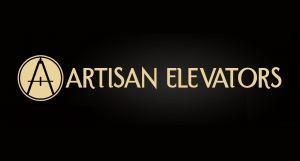 Vertical v. Inclined – There are two major types of stair lifts: inclined and vertical. Inclined lifts are the stair lifts you’re probably most familiar with. Inclined lifts follow the natural curve and shape of your stairs, starting over the bottom step and ending at the top platform. Vertical lifts, on the other hand, don’t need a set of stairs to bring you from one level to then next. The good thing about vertical stair lifts is that they can be installed anywhere in your home where there is enough space. So, if your stairways are too narrow for an inclined stair lift, you can still install a vertical lift.